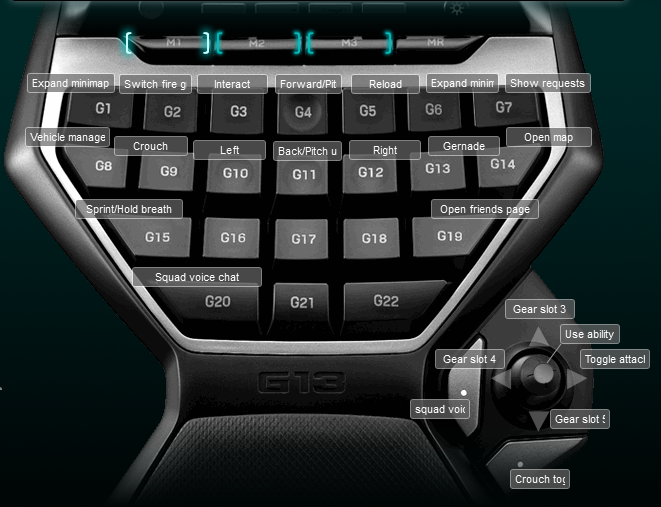 I can’t remember if the Logitech gaming software detects Planetside 2 and has a default Logitech g13 profile, but I either made a profile from scratch or customized the existing one based on the tutorials. The layout is your typical FPS layout with a few extra controls for when you are in a vehicle and for the abilities each class gets. I have found it worked really well for me and gave me access to everything I needed for each of the classes.